COA chairman Vinod Rai said that T2o skipper Harmanpreet and her deputy Smriti have backed Powar to continue as coach till 2021. Powar's interim tenure ended on November 30 and the BCCI has already invited fresh applications for the job. Powar is free to re-apply. The acrimonious end to coach Ramesh Powar’s tenure has left a huge split in the Indian women’s cricket team dressing room with T20 captain Harmanpreet Kaur and her deputy Smriti Mandhana demanding his return despite senior player Mithali Raj’s fallout with him. Committee of Administrators (COA) chairman Vinod Rai told PTI that Harmanpreet and Smriti have backed Powar to continue as coach till 2021. Powar’s interim tenure ended on November 30 and the BCCI has already invited fresh applications for the job. Powar is free to re-apply. “Yes, they have written a letter stating that they want Ramesh Powar to continue,” Rai said. Though Harmanpreet and Smriti are for Powar’s extension, it is learnt that Ekta Bisht and Mansi Joshi are against his reinstatement along with ODI captain Mithali. Powar’s term ended a week after India lost the semifinals of the World T20 to England. The team management dropped Mithali for the knock-out fixture, triggering a huge controversy. Mithali went on to accuse Powar and COA member Diana Edulji of trying to destroy her and having a bias against her. Powar, on his part, accused Mithali of threatening to retire midway into the World T20 after being denied the opening slot and creating chaos in the team. On Monday, things became more dramatic with Harmanpreet throwing her weight behind the former spinner. “I, as the T20 captain and ODI vice-captain is appealing before you to allow Powar to further continue as our team coach. There are hardly 15 months for the next T20 World Cup and a month to go for the New Zealand tour. The way he has transformed us as a team, I feel no reason to replace him,” Harmanpreet wrote in the letter which is in PTI’s possession. In the letter, which is also addressed to BCCI office-bearers, Harmanpreet and Smriti said the team has improved significantly since Powar was appointed full-time coach in August. 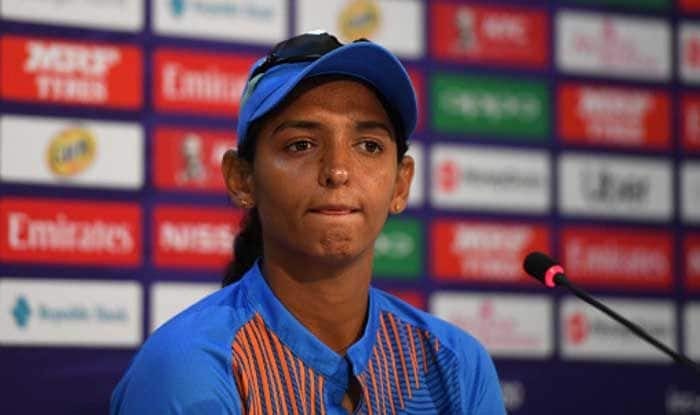 “Our defeat in the semi-finals was very disheartening and it brings us all to feel more miserable to see how the controversies have stained our image and questioned the entire cricket fraternity,” Harmanpreet said. “Sir Ramesh Powar not only improved us as players but did motivate us to set targets and challenge our own limits. He has changed the face of Indian women’s cricket team both technically and strategically. He has inculcated in us the sense of winning.” The star batswoman also reiterated that dropping Mithali was a decision of the team management. “With regard to the exclusion of Mithali Raj, Sir Ramesh Powar was not single-handedly responsible. The decision was entirely based on the cricketing logics and observations from the past. “Keeping in mind the need of the hour where me, Smriti, the selector (Sudha Shah) and the coach together in the presence of our manager felt that we should go ahead with the winning combination. “And I believe it should have come to your understanding that the intent was not personal but entirely based for the welfare of the team.” Harmanpreet added that a change of coach at this juncture will hamper the team’s growth. “Another change of coach will effect our growth and we will have to start from the scratch. And whatever may be the reason for Ramesh Sir’s and Mithali Raj’s conflicts, they should solve it across the table like a family and call it a truce. This will provide more sense and security to them and the entire team.” Mandhana too endorsed Harmanpreet’s view on the controversial matter, saying Powar has made them better cricketers. “Since the introduction of Powar, he along with the support staff has boosted our confidence as a team which has helped us win 14 consecutive T20 matches. He changed the intent of the players and gave everyone confidence,” the opener wrote. The deadline for applying for the coach’s job ends on December 14 and the BCCI is looking for a high-profile candidate to fill the vacancy.